It's amazing what a penny can do. 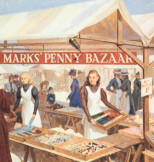 'Don't ask the price, it’s a penny' was the slogan Michael Marks used when he opened his first bazaar in Leeds in 1884. It couldn’t be any simpler and both his idea and hard work soon paid off. 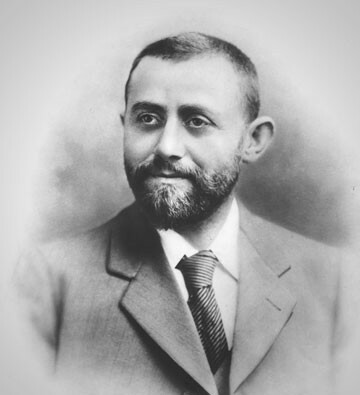 But it was when Michael went into partnership with Tom Spencer in 1894 that the company we all know really started to take shape. We were growing and innovating as living conditions were improving. 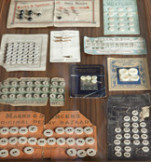 Most shops kept their stock behind counters, but our stores displayed everything on trays for customers to inspect. The outbreak of the First World War in 1914 also meant that resources were limited so people really needed the buttons, needles and threads we sold to update their old clothes. A typical example of smartly-dressed female sales staff in our early stores, who would be supervised by the store manageress. 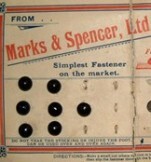 Marks and Spencer has sold innovative products from its earliest days! Soon M&S shops opened in a wide variety of central sites, like this one at Castle Street Bristol in 1907. We sold music from 1900 to 1920. It was so popular that people posted their penny to the stores, who sent the music out at no extra cost. I worked in M&S in 1964 when Aberdeen had 500 residents quarantined in hospital with the typhoid outbreak. I married & moved to M&S office in Edinburgh under Mrs Whitehill. Now 50 years later I am working as a Christmas temp in Dundee store in the Lingerie Dept exactly where I started 50 years ago. I still use a Monster Music Book of Christmas Carols. Well worth an old penny. This era wasn’t easy for anybody, including retailers. But companies who adapted survived. We reinvented ourselves and responded to people’s needs. We started to sell more of life’s essentials, including underwear. Since then the bra has become our most iconic product, with one in three women now wearing one bought from M&S. But there was a lot more going on during this period that shaped the way we operate today. Miss M Simpson donated this manicure set. It cost a third of her weekly wages as a sales assistant, so she was allowed to pay in instalments. This tea set is one of many in the archive and was donated by Doreen Newlyn. It features a beautiful art deco design. M&S started selling records in the 1930s. 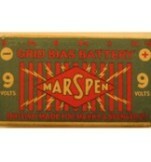 We had our own brand record line, featuring the ‘Marspen Band’, our in-house musicians. In the 1930s M&S sold many electrical household goods, including heaters, irons and light bulbs, which were described as lamps. 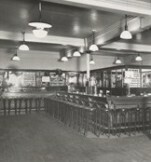 M&S food departments opened in 1931 selling fruit, vegetables and canned goods. 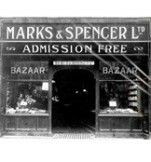 My childhood memory of Marks &amp; Spencer was a visit to their Cafeteria in the basement of their store in Briggate, Leeds. 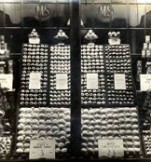 I remember the assistants serving from behind a counter with lots of glass display cabinets all decorated. As war broke out we were faced with even more challenges. We were low on goods and employees, and our stores were under enemy fire. And in 1941 ‘Making of Civilian Clothing (Restriction Orders)’ meant we could use only 5 buttons, 2 pockets and 4 metres of stitching for every item. We learnt a lot, particularly how to offer quality under any circumstances. This children’s book was printed exclusively for M&S. Inside is written "To Harold from Iris, Christmas 1948". Donated by Mrs E Rutter. With so many men enlisted to the armed forces, M&S faced a shortage of trained and skilled staff – the answer was to promote women from staff to management. 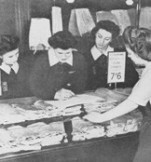 With a simple range of quality dishes, the new Cafe Bars, like this one in the Guildford store in 1941, were a war time success for M&S. 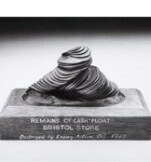 This lump of metal is what remains of the cash float found in the debris of our Bristol store, which was destroyed during an air attack. When I was christened 55 years ago, my godmother bought me a dress from M&S; it is a short sleeved, two layered lemon dress, in its own bag. In a few weeks times MY grandaughter is being christened and will be wearing the dress. Hi Peter, We would love to hear more about your mother&apos;s items. 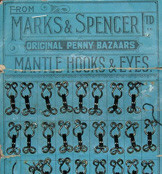 Please could you contact us at company.archive@marks-and-spencer.com with some more details? We were not complaining when glamour came bouncing back. It was a time for looking forward. And as soon as it became possible that’s just what we did. Optimism was epitomised by a new style of dress influenced by the Christian Dior ‘Corolle’ collection. This style came to be known as the New Look, because its daring form hadn’t been seen – and probably wouldn’t have been allowed – before. Donated by Mrs P Nicholson, this dress was "worn by all five of my daughters, the hems went up and down depending on which child". Hats were very popular in the 1950s as they provided an easy way to update outfits. This one is made of straw and carries the St Michael logo. The popular New Look emphasised a narrow waist and created more interest in corsetry. 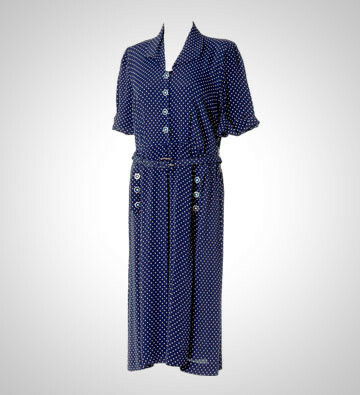 This item is a sample from a wearer trial in 1959. This toy cat was donated by Lesley Hughes, who bought it in 1954 for 9s 11d. It was very popular, featuring twice in the employee magazine. M&S’s in-house designer, Charlie Wilkinson, produced this beautifully drawn and coloured design. Watch M&S adverts from the 1950sWatch now. 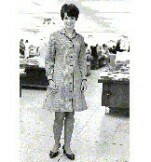 I started working at M&amp;S in 1960 age 18 at the new store in Manchester. I worked on the section with ladies blouses and trousers, I even modelled them on a Saturday for the customers. I have very fond memories of the store, and the people. Forget miniskirts and The Beatles, it was chickens that mattered. This was perhaps a time when anything seemed possible. Any why not? 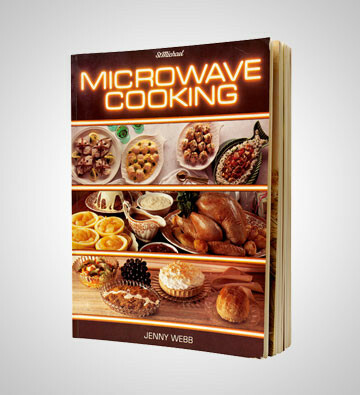 Innovations became widely available as new products moved quickly from the research laboratories to the shelves. 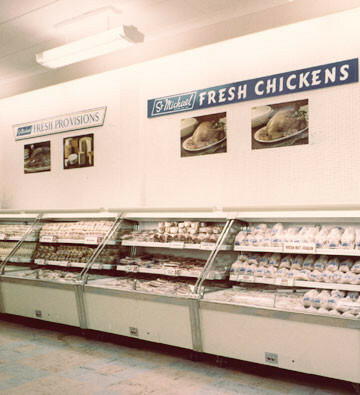 Uniquely, chilled – instead of frozen – chickens also moved quickly all the way to our refrigerated shop counters, always staying at 4 degrees centigrade. This is a girl’s jumper, bought in 1969. It’s made from Orlon, a man-made wool. We now sell a more modern version of Orlon called Cashmillon. Watch M&S adverts from the 1960sWatch now. As miniskirts became fashionable, tights became essential. American Tan was the shade that all of our sales assistants wore in the 1960s. Lycra was first used within M&S for corsetry. This stretchy fabric was used for girdles, which had replaced the stiffer corsets. 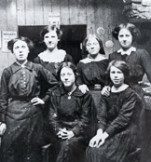 Over the years, staff uniforms have changed according to fashions. 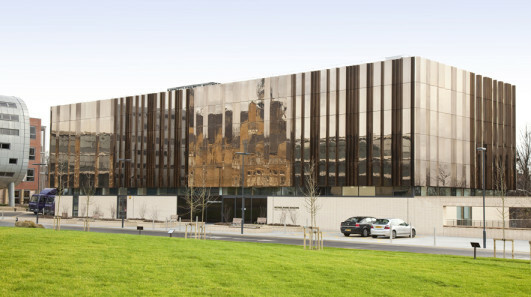 The M&S Company Archive holds many different examples. 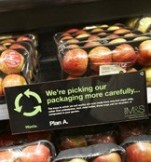 Our mother always used to say that with Marks food there was no waste and that you got what you paid for. I've passed that on to my three children. You can rely on M&S, just like the sun will rise tomorrow. It would be nice to see the St. Michael brand with the green and white bags again. When was m&s kendal cumbria first opened? Hi David, the Kendal store opened on 10th May 1935. Hi Evaline, we need a bit more info to help with your enquiry. Could you email us at company.archive@marksandspencer.com? 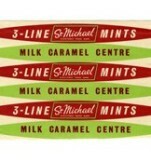 When did the St Michael Brand cease to exist? Hi Christine, St Michael lasted from 1928 until 2000. Suddenly guests were impressed by how little effort you put into dinner. Lifestyles were changing rapidly. More women were going out to work, so we made things easier by introducing good quality, nutritious convenience food, like boil-in-the-bag meals and microwave dinners. But even if time was limited, it didn’t mean the menu had to be. Exotic Chinese and Indian ranges reflected the new travel opportunities of the times. And in the design department big changes were also happening. This is a pair of boy’s cotton BMX pyjamas, age 5-6. BMX bikes were a must-have on Christmas present lists in the late 1980s for most children. 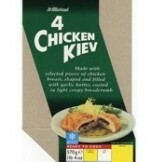 In 1979 Marks and Spencer became the first high street retailer in Britian to sell the Chicken Kiev. Men’s suits have been the focus of much product development, with the first machine washable suit being introduced by M&S in 1987. This leisure jump suit is nightwear. It dates from 1978 and is made from brushed nylon, a popular fabric for nightwear in the 1970s. 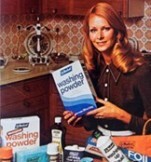 Watch M&S adverts from the 1970s.Watch now. At the end of the day when there were officers on leave, we would push all of the tables in the caf<span class="st">é</span> to the side and dance to records played on the gramophone - times were tough but we still had fun. In the mid-late 1980s M&S used to sell Syrup Sponge dessert in an individual pot with syrup in the bottom, then sponge, then custard (and maybe cream on top, I can&apos;t remember). It was absolutely delicious and I&apos;ve never seen it anywhere else since. It was a perfect end to my packed lunch!! It would be wonderful to experience it again!! My family used to love you spicy chicken pizzas. They were discontinued due to falling sales. I cannot understand this as I had to queue in your Cardiff store when you were expecting a delivery. What happened? Competition meant that we now needed to be better than ever, and all departments played their role by creating new and improved products like this. 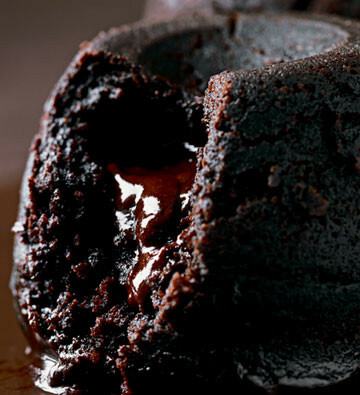 Believe it or not, the pudding is a real feat of food technology. Taking 18 months to develop, the real challenge was making sure the sauce wasn’t soaked up by the sponge around it. But success was achieved, and the result was a real hit with customers. This silk dress was worn by Dame Shirley Bassey in the 2007 M&S Christmas TV advert. The ‘Your M&S’ adverts featuring celebrities began in 2005. Watch M&S adverts from the 1990sWatch now. 2006 saw Limited Collection introduce ‘fast fashion’ to M&S, quickly bringing catwalk trends to customers. These sandals hit the stores within 4 weeks. 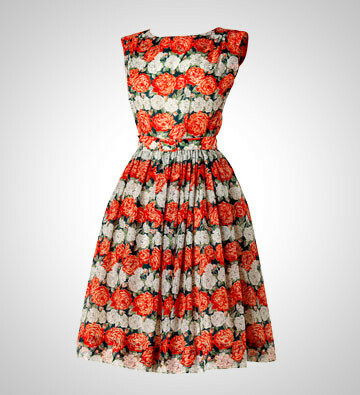 This dress, designed to celebrate 125 years of M&S, uses a print originally designed by the artist Kathleen Guthrie in the 1940s. I remember shopping for all our clothes at M&S. Dresses used to have a thread in the hem that could be pulled out to make the skirt longer and therefore wearable for a longer period of time. Very useful when it was a favourite. Coats had the same facility in the sleeves. I remember when the first Harry Potter film was coming out and M&S did chocolate frogs! There were also children&apos;s games too. Marks & Spencer is looking forward to the next 130 years. Our core purpose is ‘Enhancing Lives. Every Day’, through our company values of Innovation, Inspiration, Integrity and In Touch. These are the building blocks of Plan A, our eco and ethical programme which is at the heart of how we do business. Following the launch of Plan A in January 2007, we’ve introduced Plan A 2020 which consists of 100 new, revised and existing commitments, helping us to achieve our ultimate goal of becoming the world’s most sustainable major retailer. As a brand with influence over 250,000 workers worldwide, we work to improve the livelihoods of our suppliers and their communities. We are reducing how much of our clothing and packaging ends up as landfill by improving packaging, recycling more and using fewer plastic bags. 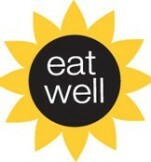 We've improved labelling to make it easier for you to eat well, and have trained 1,500 Health Advisors to provide advice on healthy living.